Londoners in need of liquid refreshment have a seemingly endless selection of pubs and bars to choose among. If even that range is not enough, the city also includes many hidden bars — even bars within bars — in the most unexpected places. 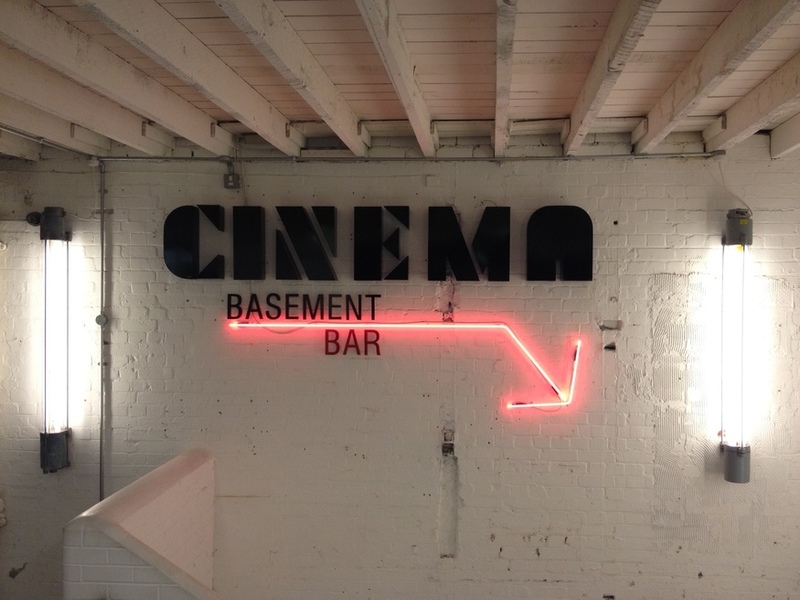 An independent cinema that serves more than just lukewarm beers and white wine spritzers, the Aubin is part of swanky member’s club Soho House (yes, that’s the one with the rooftop swimming pool). So, of course, the bar here carries some top spirits, and will soon be serving up cocktails from a revamped drinks menu. Expect weekly themed cocktails, based on the main programme of films, and experimental staples, such as the divine-sounding Cardamon Martini, courtesy of some experienced staff. Did we mention there’s even two seater sofas you can get all stretched out/comfy on in the auditorium? Damn fine drinks are served in this museum cafe, lurking above London Transport Museum's shop. Try a Traffic Light (a bellini with peach, raspberry or strawberry), or the sloe gin and purple berry-based Metropolitan Mix. 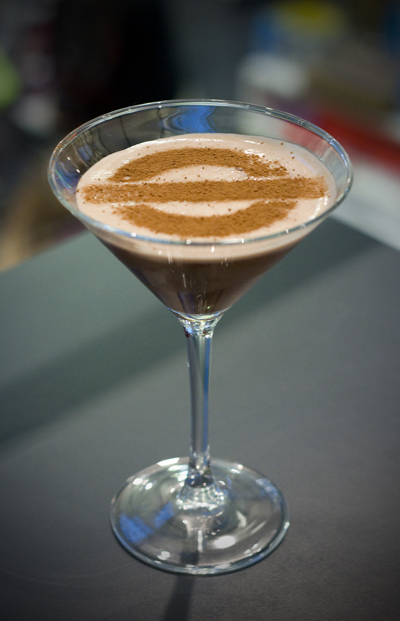 The winning touch here is the roundel motif with each serve — be it as an ice cube, or a dusting of cocoa powder. We’re suckers for London iconography — even more so when it comes in a booze-related form. If you’d rather make a night of it, the museum hosts a series of Friday Lates. The next is Goodbye Piccadilly (Friday 16 May), an exhibition exploring the ramifications of the First World War on society, mixed in with some retro-style entertainment and drinks. Shopping is mighty thirsty work (trust us on that one) and ‘if it’s not nailed down, you can buy it’ is the motto at The Shop because, well, it’s a shop. That's also a bar. But also a shop that serves mostly Mexican and southern-style food, made from seasonal ingredients and home-grown back garden herbs, alongside the alcoholic iced teas, coffees and sours. There’s a particular focus on showcasing the work of local talent, both on the walls and through talks, for you to admire while chomping down on some Rebel Yell bourbon chicken wings. Drool. A slightly cheeky one — as you do actually need to know someone who can sneak you in. Thousands of people hold enough security clearance to get you as far as one of the bars — you can even make a pub crawl out of it. The most relaxed is the Sports & Social bar, which even does karaoke on a Thursday night. Sing along with Eric Pickles, anyone? 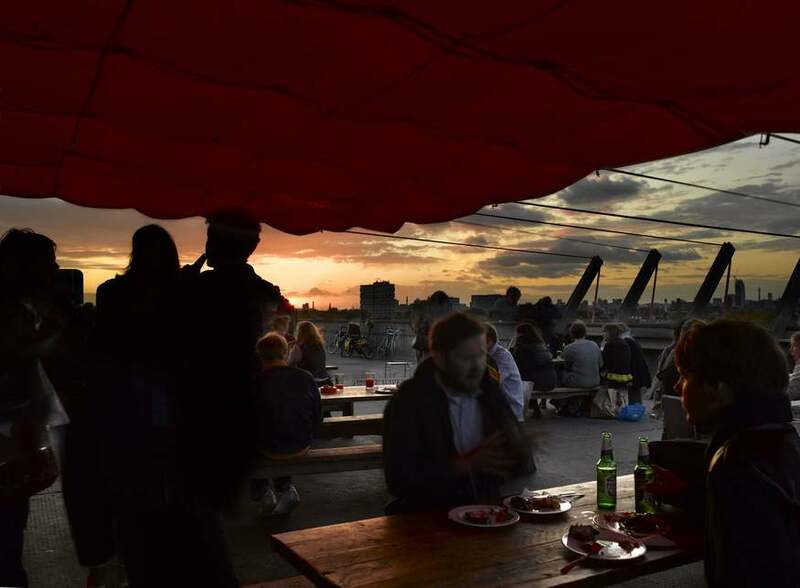 A negroni lover’s paradise encased in concrete, Frank’s Cafe & Campari in Peckham is a bittersweet (much like Campari) summer fling, atop a multi-storey. Founded in 2007, it pulls in the crowds every year in large numbers, and is a firm favourite of those who make the trip up to the 10th floor. Its 2014 incarnation is set to open in June (exact date TBC) with an updated menu and snacks list. For a flavour of what they do, check out the ox hearts, mules and Meantime beer that were on offer last year, on the website. A former tram shed full of, well, everything but trams. Kitted out with chandeliers, sofas and a top sound system, Tooting Tram is a late-night hotspot with a schedule full of burlesque shows, open mic nights, gigs and DJ sets. When it comes to the sauce, there’s currently a ‘cocktail of the week’ on offer — with more on the way. 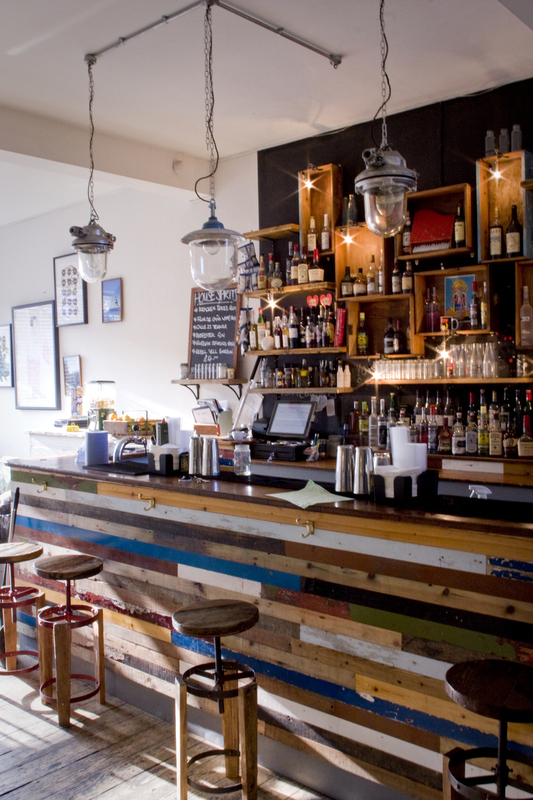 Plus, there’s an ever-changing rota of ales, bottles and spirits, for social south London folk to try. 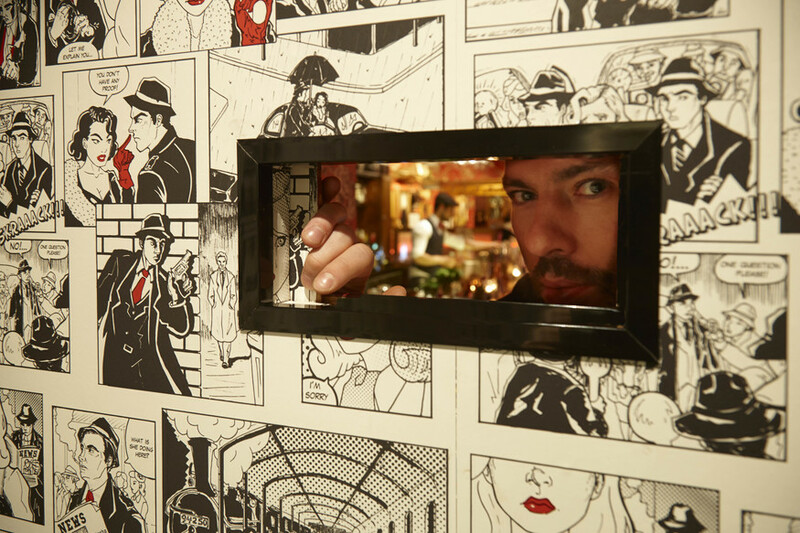 An exceptionally well hidden hotspot for those in the know, located in an incredibly posh Chelsea serviced apartment block. Not accessible via the side either. Oh no, you actually have to venture right inside and totally make out you know what you’re doing. Dripping in nods to the 1920’s American Speakeasy era, a concept which has exploded in the drinks scene in the past few years, it serves up decadent sharing cocktails in gramophones and top hats. If you do manage to find it (without getting harassed by security), be sure to check out the perique tobacco Cocktails, such as the Smoke Screen — twist on the old Fashioned. Guys, if you book a first date here, with the aim of impressing with your insider knowledge — for the love of god be aware that the secret entrance is a strip joint front, and a very convincing one at that. It’s slap bang in the middle of Soho and says GIRLS in huge neon signage. Beyond the risqué facade lies the beating heart of an authentic Mexican restaurant with a bar menu packed with Tamarind Margaritas and lashings of tequila.There’s actually a ‘conventional’ entrance around the corner, which leads into the adjoining all-day cafe — but where’s the fun in that? La Bodega Negra, 9 Old Compton St, London, W1D 5JF (Restaurant entrance). ‘I’d like to see the mayor please’, is what you casually say to the staff here upon entering this (almost always) packed brunch spot, popular with the perpetually hungover City/East London lot. You’ll then be led down through the retro Smeg fridge, to an intimate underground drinking den full of well-crafted cocktails and a buzzing atmosphere. We’re not messing with you. Honest. Choose your time carefully, however. It gets busy and you can't book. We visited on the first Monday after New Year to find a full house. 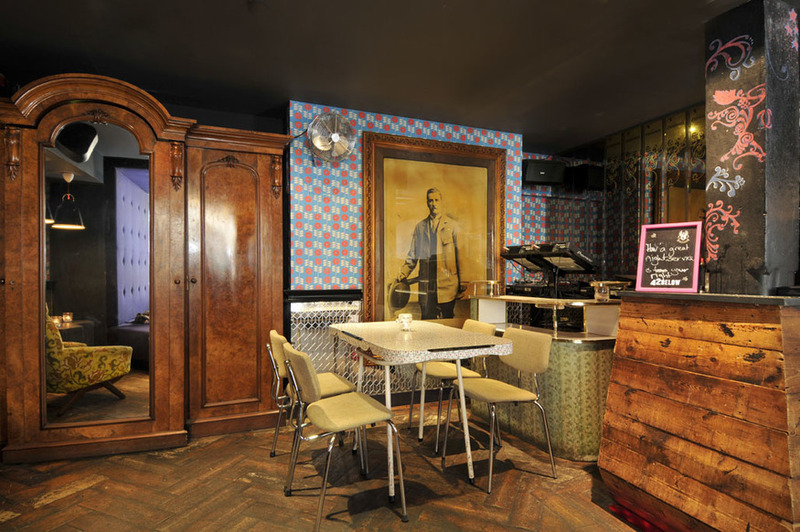 No passwords, freemason-esqe handshakes or fumbling around the houses required here, just pop through the innocent looking wardrobe to discover the back bar (and the loos, importantly). In keeping with a bar that’s routinely voted among the best in the world, it serves up some truly amazing drinks, from a constantly overhauled menu. 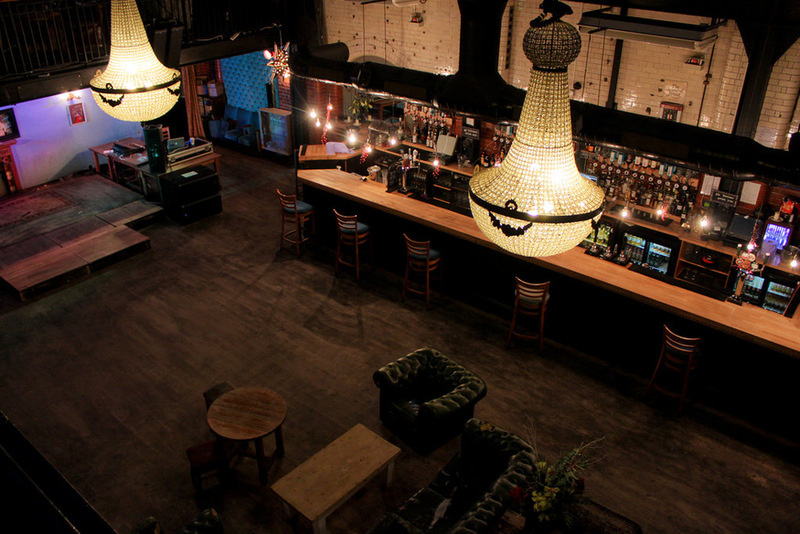 The upstairs bar, hidden behind some velvet curtains in the corner, is a ‘bar within a bar’. It'll soon revert back to the members-only policy after a year of ‘open to all’ pop-ups.